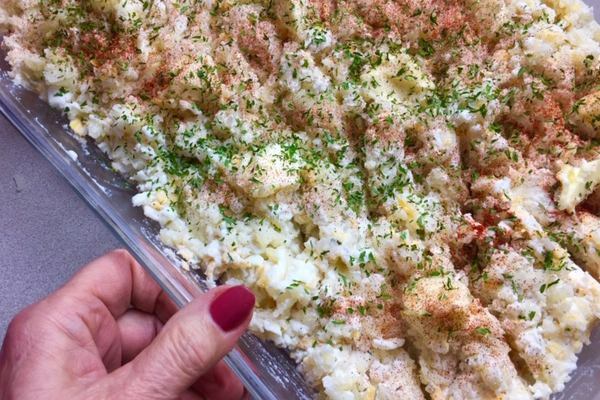 A potato casserole like the one served at an old school steakhouse in the heart of Nebraska beef country. Who could do it better? In our family, it’s a big-time favorite. Let’s face it. We just love potatoes. We simply call them “Dreisbach’s”, after the steakhouse in Grand Island, Nebraska that made them famous. There are lots of variations, all knock-offs of the original that was served at the swanky Dreisbach’s Steakhouse. It was iconic, called by some the best steakhouse in the world. In 1988 Pat Dowd was named restaurateur of the year in the Taste of Nebraska Awards. Their steaks were legendary, the potatoes, divine! Heres how you do it! Now, you can stop and stick it in the fridge and bake it in a day or two. Nice to make ahead! Or go ahead and bake it right this minute! 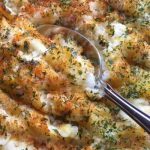 Made famous by an old school steakhouse in the heart of Nebraska beef country, this recipe is the real McCoy! You want to hang on to this one! 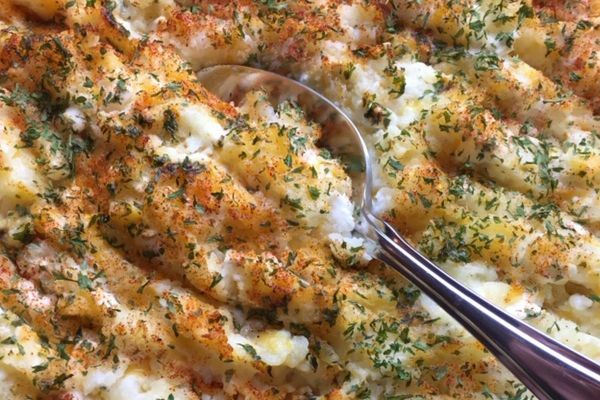 It’s a hearty, super-tasty crowd pleaser! 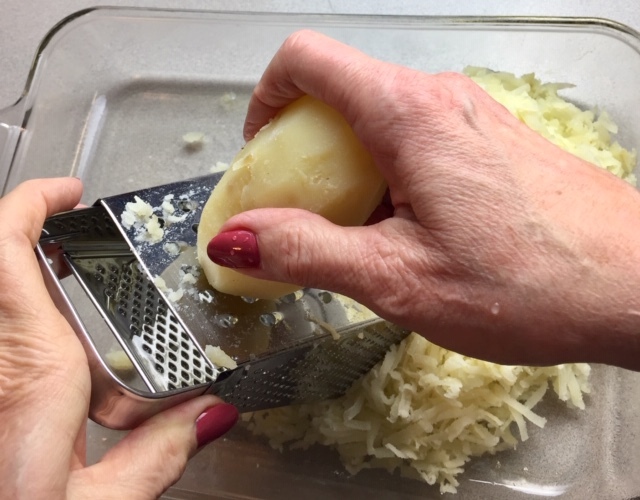 Peel and grate potatoes. Put in a greased casserole dish. Add other ingredients, stir to combine. If desired, sprinkle with additional parsley and paprika for color. Bake 30-40 minutes at 350 degrees until lightly browned. 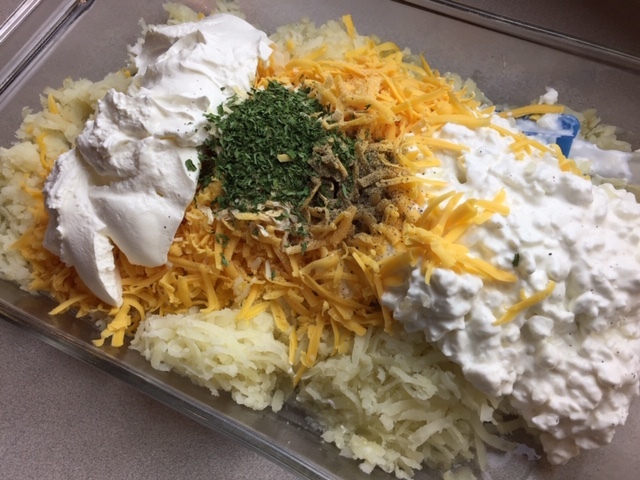 You CAN use 2 pounds of frozen hashbrowns for this casserole and bagged shredded cheese if you are short on time. This can be made ahead and baked the next day. Will need to bake a little longer if you take it straight from the fridge. 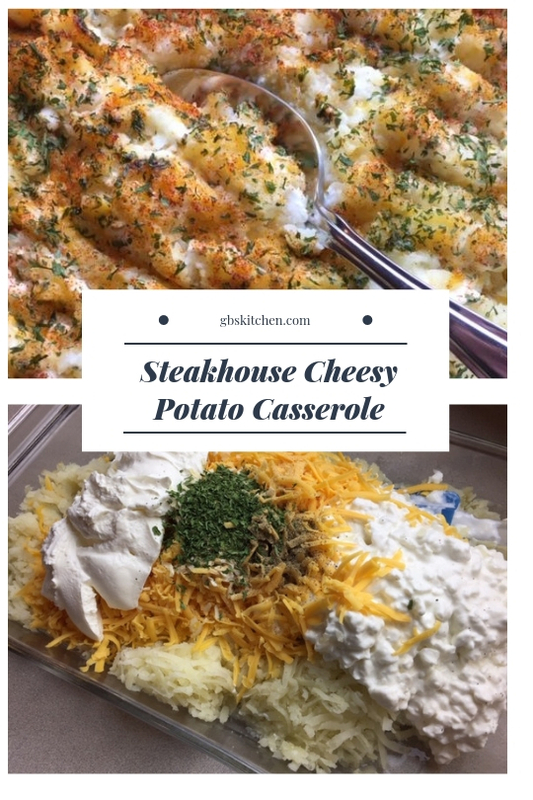 For the Classic Steakhouse Cheesy Potato Casserole, it says to cook the potatoes in the jacket. 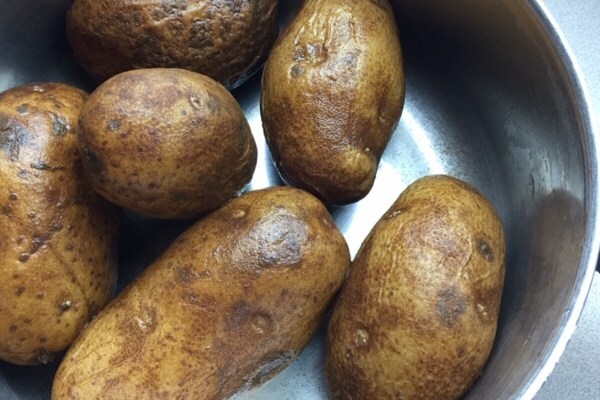 It looks like they are in a pot in the picture – so did you boil them (how long did that take) or did you cook them in the oven like a baked potato? And are they peeled when you shred them or are the skins part of the dish? Boiled in water, peeled, grated. Cook time depends on size of potato. About 20 minutes until they can be pierced with a skewer or tip of a knife. Holler if you need more help!